May is the month of dramas. Not sure if all that hype for the upcoming dramas is really justified or not. One GREATLY underrated drama recently is Listen to My Heart (내 마음이 들리니?). I know some of you may be put off by its 30 episode run and the additional fact that it is a weekend drama may lead to the mistaken view that it is a 막장 angsty drama. The love story of Cha Dong Joo, man who’s been rendered deaf after an accident but pretends he can hear, and Bong Woo Ri, a woman who’s intelligent but pretends she’s dim-witted to protect the dignity of her mentally handicapped father. The wiki synopsis is not helping to promote the drama either -.- But trust me, it’s been a long long time since I’ve seen a drama so well made. Koreans are calling it 명품 드라마, which loosely translates to ‘branded drama’, or in other words, good quality drama. It takes less than 5 minutes for me to be captivated, and both the kid roles and the adult roles did not disappoint. Alot of attention is being paid to the script and all the small gestures are not neglected. Give it a try and let me know what you think (: I’m doubly impressed that the drama makes an effort to connect to its audience via an official blog and twitter. Can’t wait for the summer to start! 😀 My books are waiting for me!! I’m watching it too! 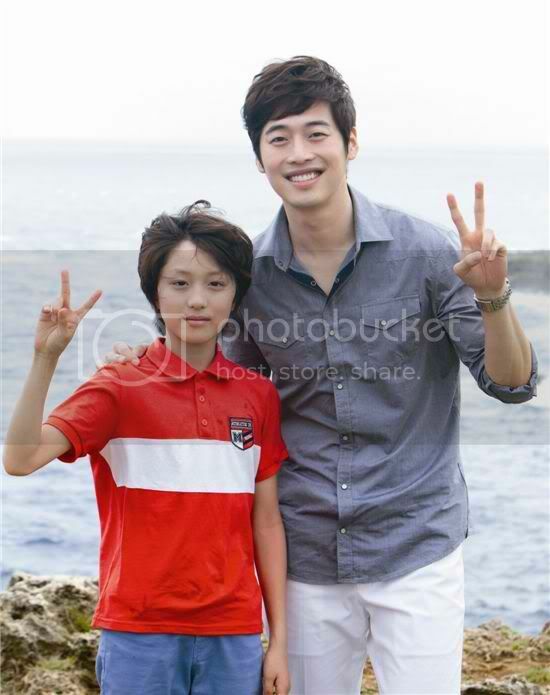 Really good chemistry between all actors, young and adult. And about its 30 episodes, honestly, I barely noticed it reaching midway already…haha. 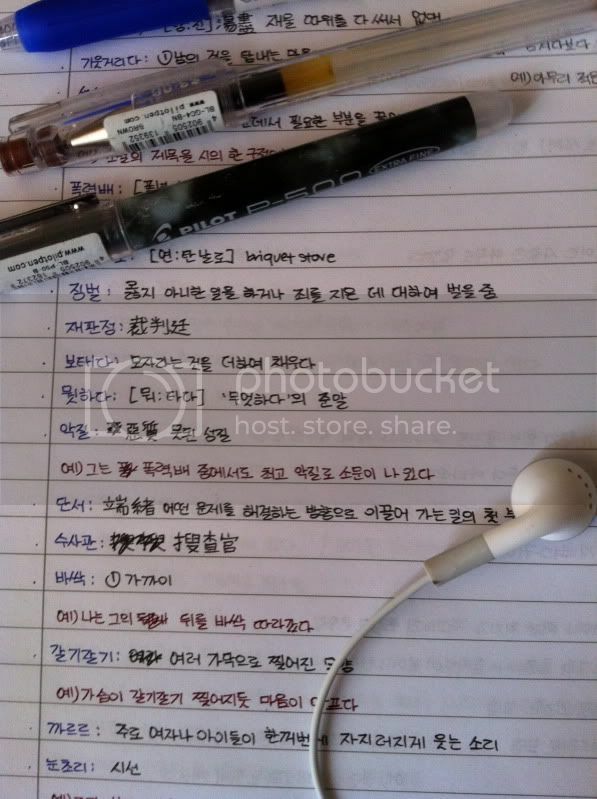 Looking at the pic of your notes, i’m wondering when did u actually start to write the meaning of the new vocabs in korean~~?